Charles-Augustin de Coulomb was an eminent French physicist. He formulated the Coulomb’s law, which deals with the electrostatic interaction between electrically charged particles. The coulomb, SI unit of electric charge, was named after him. Born in Angoulême, France to a wealthy family, Charles-Augustin de Coulomb was the son of Henri Coulomb, an inspector of the Royal Fields in Montpellier. The family soon moved to Paris, where Coulomb studied mathematics at the famous Collège des Quatre-Nations. A few years later in 1759, he was enrolled at the military school of Mézières. He graduated from Ecole du Génie at Mézières in 1761. Charles-Augustin de Coulomb formulated his law as a consequence of his efforts to study the law of electrical repulsions put forward by English scientist Joseph Priestley. In the process, he devised sensitive apparatus to evaluate the electrical forces related to the Priestley’s law. 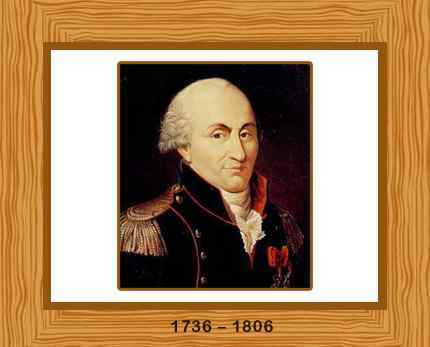 Coulomb issued out his theories in 1785–89. He also developed the inverse square law of attraction and repulsion of unlike and like magnetic poles. This laid out the foundation for the mathematical theory of magnetic forces formulated by French mathematician Siméon-Denis Poisson. Coulomb extensively worked on friction of machinery, the elasticity of metal and silk fibers and windmills. The coulomb, SI unit of electric charge, was named after him. Charles-Augustin de Coulomb died on August 23, 1806 in Paris. He was 70 years old.